A lot has happened since my last update, which I put out after the World Championships in August. I’ve made a huge move, which is both very exciting, and very scary. It is no secret that my mid-fleet performance at the world championships was a disappointment. In my immediate analysis after the regatta, I was focusing in on why I underperformed what I believed that I was capable of. The conclusion from that analysis was that it boiled down to a number of mental performance skills, which I am working on improving. In my time off following the regatta, I had the opportunity to take a broader view at my sailing campaign, how I had gotten to the level that I was at, and where my current trajectory was taking me. Through this process, it became clear to me that my trajectory was no longer on track for my 2020 Olympic goal. My path in this sport to get to where I am has been anything but easy or straightforward. There was no clear pathway in sailing in Canada for a kid with high performance ambitions to follow. Because of this, my nine years in this sport have been an uphill battle of trial and error. I am not embarrassed to recognize that I have failed a lot of times over these nine years—probably more than most people will fail in their whole lives. My greatest strength and differentiating factor has showed itself as my ability to break down each of these failures and experiences, pull out the relevant lessons, and move forward as a result. Reflecting on my career, I don’t have any regrets. I don’t regret the obstacles, I don’t regret the challenges, and I don’t regret the failures. Each of those experiences was purposeful, and helped me to improve as a sailor, and develop as a person. However, as I looked forward, and to the specific timeline that exists with the 2020 Olympics, it was clear that I was not set up to succeed. 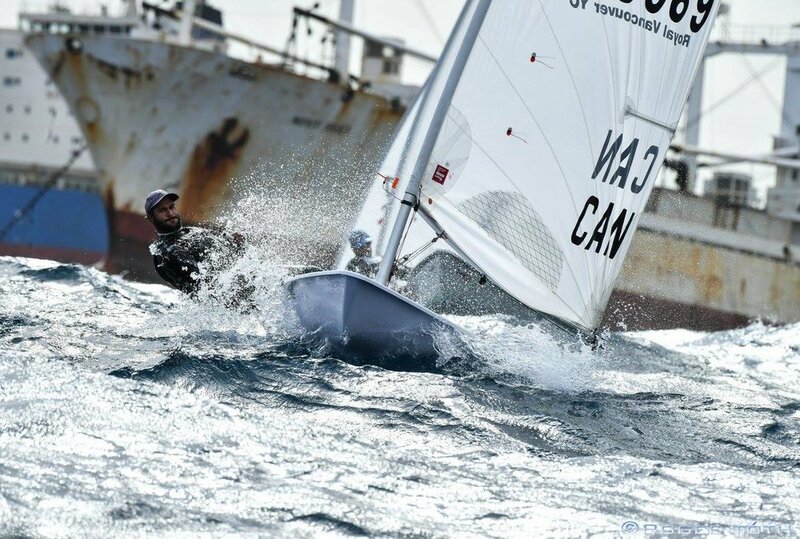 Over the last 3.5 years since I graduated from high school and have been training full-time, due to the fact that there is no structured support from the Canadian sailing federation, I have been on my own to put a training program together. During two separate periods, I was fortunate to have had the opportunity to piggyback off the program of a top international competitor and share their coach. Both times, the program fell apart due to factors outside of my influence—as is the risk with joining other people’s programs. For the most part, I have been working fully independently, as was the case for the seven months before the World Championships. I’ve worked independently, because there was no better alternative available to me within the budget that I had. However, in my reflection, it became clear to me that continuing to work in this way was not going to set me up for success in 2020. The amount of money, energy and sacrifice that a campaign such as this requires made it irrational for me to try and justify continuing down a path that was not going to get me to my goal. It was clear, one way or another: change was necessary. My first thought was to work together with Sail Canada to create a program. There had been a lot of talk during the world championships about them bringing all the Canadian laser sailors together as a training group, hiring a coach, and providing us with a quality program. Although it sounded very promising, ultimately, it was made clear that they could not provide what was needed within the timeline for the 2020 Olympics. With that off the table, I was left with two clear options in front of me. I could continue down the same path, making the best of my situation working independently, even though it was apparent that was leading nowhere, or, I could read the writing on the wall and quit. Well, neither of those choices appealed to me. So, I created a new one. I decided to build my own program, centered purely around my needs, to level the playing field. I reached out to all of my contacts, and ended up connecting with a seasoned and proven coach, Ian Clingan, who I have brought into my team. Ian is a Brit based in France. He had been taking a break from coaching since the 2016 Olympics, but was ready to take on my project. We are both working together to achieve our long-time personal dreams. Mine—to win a gold medal for Canada at this Olympics; his—to coach an athlete to an Olympic medal. Together with Ian I have created a program that gives me every opportunity to succeed. Until now, I have always been playing this game from a disadvantaged position. Now that that isn’t the case, we will see what I am truly capable of. One way or the other, success or failure, I can only blame myself: the excuses are gone. I started in this new program one and a half months ago, and it has been everything that I had hoped. It has been a novel and awesome experience that each moment of training I am able to work specifically on my target areas without distraction. It is in stark contrast to what had become the normality, where half my energy was wasted on just finding training opportunities, and even when I did, I of course had no influence over the substance of the training! Unsurprisingly, my progress has been steady and positive, and I feel really good about the direction things are going. If this program that I have described sounds too good to be true, that’s because it very well could be. This is the scary part that I mentioned at the beginning of this update. A program of this quality, at this level costs a lot of money. 130k for the year (ending August 31st) to be exact. Thanks to the support of my family, who have been the backbone of my campaign, a number of gracious donors who have contributed (special thanks to Samir & Sheena Manji, Nosh & Nina Vellani, Bahadur Karim, Hanif & Khairun Vellani, Aziz Shariff, Omar Ladak, Amir Noorudin, Aziz Haji) and the AAP funding from Sport Canada, I have so far raised 80K, but I am still short 50K. The financial risk that I have taken here may seem irrational to some, but I see it different. Had I decided to quit sailing, that would have guaranteed failure. Had I decided to accept the status quo, that would have been setting myself up for failure. Although there is no such thing as guaranteed success, the path that I have chosen gives me a real opportunity to succeed. I’ve had to come to terms with the flip side of this path. If I am unsuccessful in raising the money and I end up totally broke, that would very likely spell the end of my sailing campaign. However, what I have realized is that when the dust settles, however things play out, I will be able to live with it, because I will know I gave it absolutely everything that I had. I would like to take this opportunity to humbly make an appeal for your support. Whether you may be in a position to donate, or you own or are connected with a company who is aligned with what I represent and could become a sponsor, I would be very grateful for any help. You can find the link to make a tax-deductible donation, as well as more information on the benefits that I can offer to corporate sponsors here. And, you can always contact me directly.